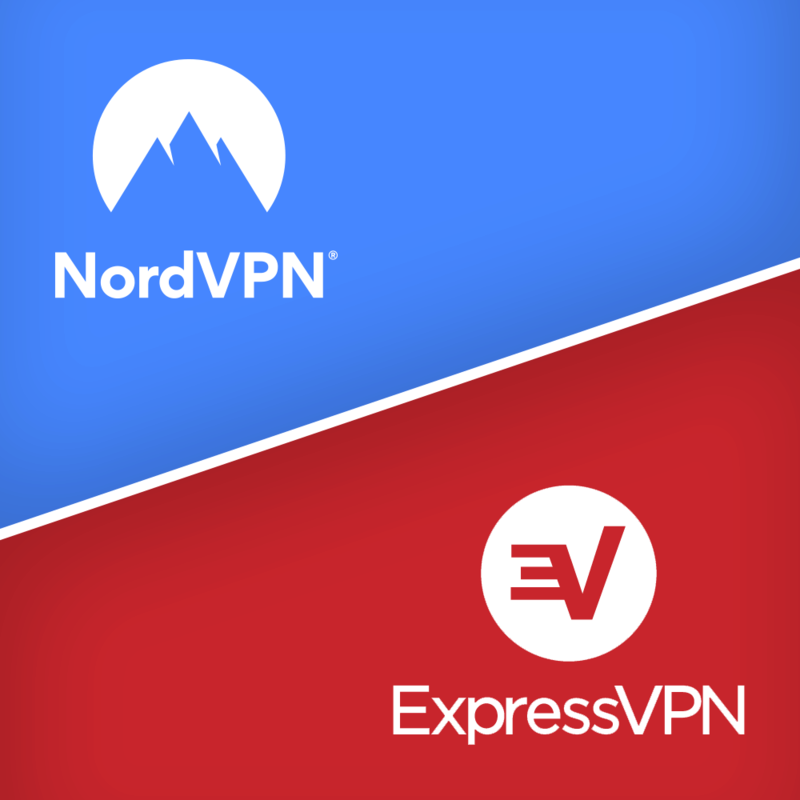 As of 2019, NordVPN and ExpressVPN are probably the two most well-known and reputable VPN services on the market. However, choosing one for another isn’t that easy. At first glance, they look pretty much similar. After testing the speed, Netflix availability, torrenting/P2P, customer support, usability, and vulnerabilities we found out that there are some differences. 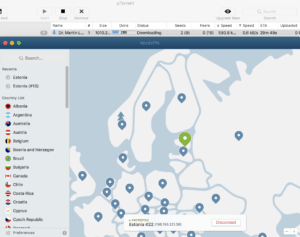 NordVPN offers four different subscription plans (including a 7-day free trial) and ExpressVPN offers three different plans (without a free trial). All of their plans are identical, meaning you get the same features, the only thing that changes is the subscription period – from one month to three years. If you opt-in for a longer period, you’ll be able to get it for a cheaper price. That’s pretty much it. In a nutshell, If you opt-in with NordVPN for 3 years upfront, the monthly cost will be 55% cheaper that ExpressVPN longest plan (15 months). If you’re on a budget and don’t want to spend money on a VPN, consider getting a NordVPN because it’s cheaper, currently priced at $2.99/mo + VAT. NordVPN and ExpressVPN both allow you to pay for their service using popular credit cards, bitcoin and even alternative payment methods, such as AliPay, WebMoney and UnionPay. As of now, ExpressVPN offers its users to pay through PayPal, but NordVPN doesn’t. Both of the VPNs offer 30 days money back guarantee. However, we’ve received some user reviews that claim that NordVPN refunds can take a while to process, so be aware of this. When choosing a VPN, speed is probably one of the most important factors. Since NordVPN is cheaper than ExpressVPN, it probably has more customers and users. More users mean more people are penetrating their servers which could result in slower speed test result. Despite NordVPN having more servers (5200+) compared to ExpressVPN’s 3000+, their NordVPN seems to be slightly slower. Don’t get me wrong. Nor NordVPN or ExpressVPN is slow – many of our tested VPNs are far more slower. Our next test was to compare ExpressVPNs and NordVPNs ability unblock geo-restricted websites, especially Netflix and their US library. This is a relatively good result form both sites as many VPNs failed to unblock Netflix at all (see full Netflix test results here). What’s good, both of them offer extensive help through live chat to help you bypass Netflix restrictions which you can see in our next test. 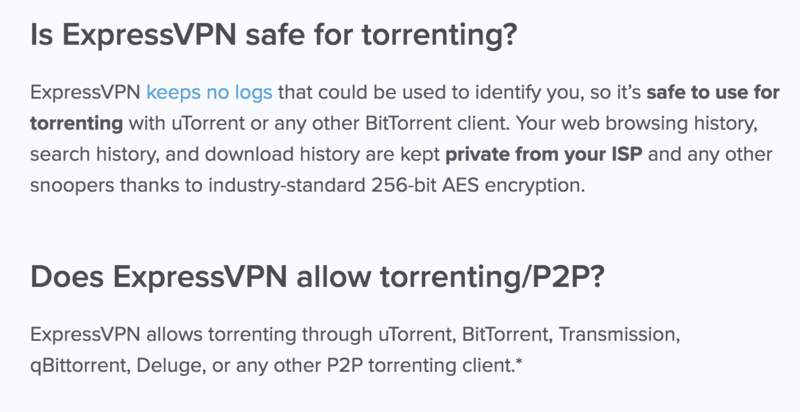 Many people use VPNs solely for torrenting. Just to stay safe, avoid any DMCA letters from your ISP and so on. For example, if you live in the US and you are caught torrenting files through P2P software like uTorrent, you’ll likely receive a letter in the mail from your ISP, on behalf of the copyright holder, indicating the infringement under the DMCA. While we, at thebestvpn.com encourage you NOT to torrent or download pirated content, using VPNs will help you keep 100% anonymity and security. However, many VPNs limit or block torrenting altogether, just to name a few – DotVPN, Kaspersky VPN and many others. We downloaded the same torrent, from the same site with both VPNs. Note that this torrent doesn’t have a lot of people seeding it, that’s why its download speed isn’t that great (the more p2p seeders, the faster your speed will be). 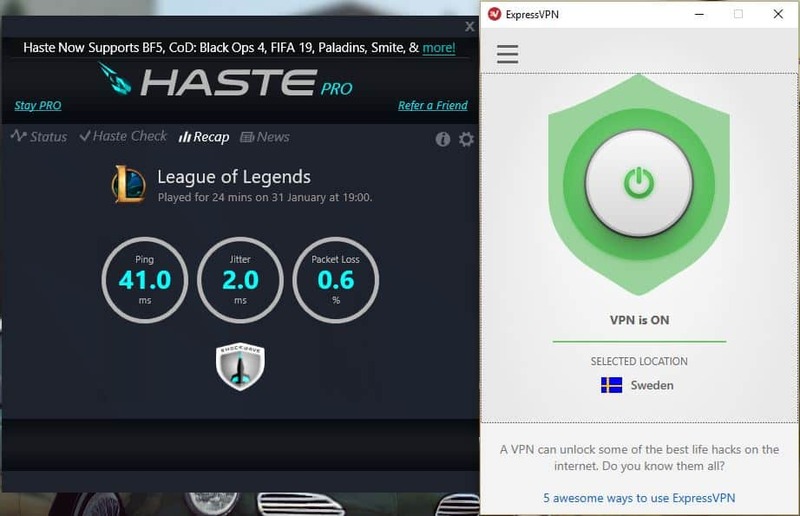 The speed without a VPN was around the same as connected to one, therefore there’s no major loss in speed while using a VPN. For conclusion, while both of the VPNs allow torrenting 100%, NordVPN seems to be slightly faster, around 80kb/s. A lot of the torrents you download are going to be faster, since they’ve got a lot more people seeding them. Always test out a couple of servers to find out the best one for yourself. We used the recommended servers for this test, they’re both located in Estonia, the country we’re based in. To test out support responsiveness and response time, we simply asked them one simple question: “Which servers are best for streaming Netflix?”. Since both of the VPN services offer live chat, we decided to ask our question through that. 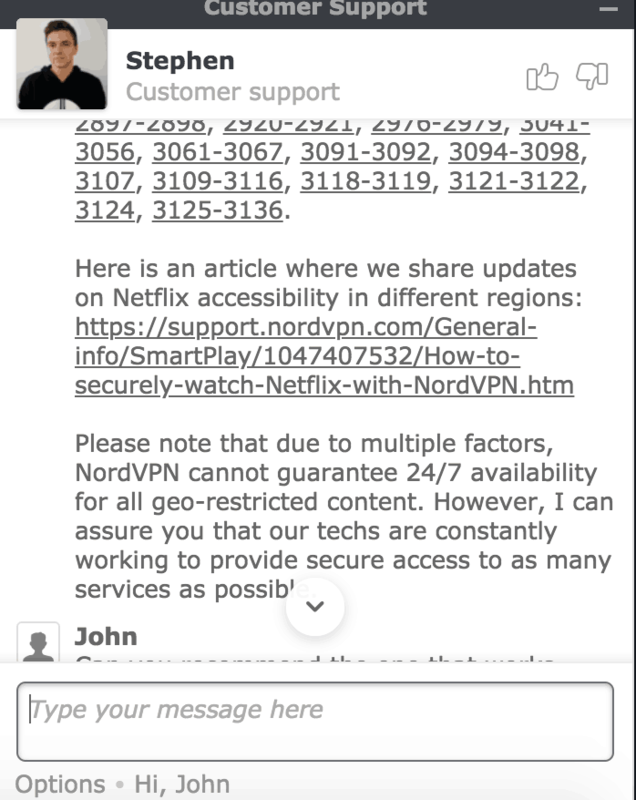 If you are into quicker response time, NordVPN beats ExpressVPN in customer support. 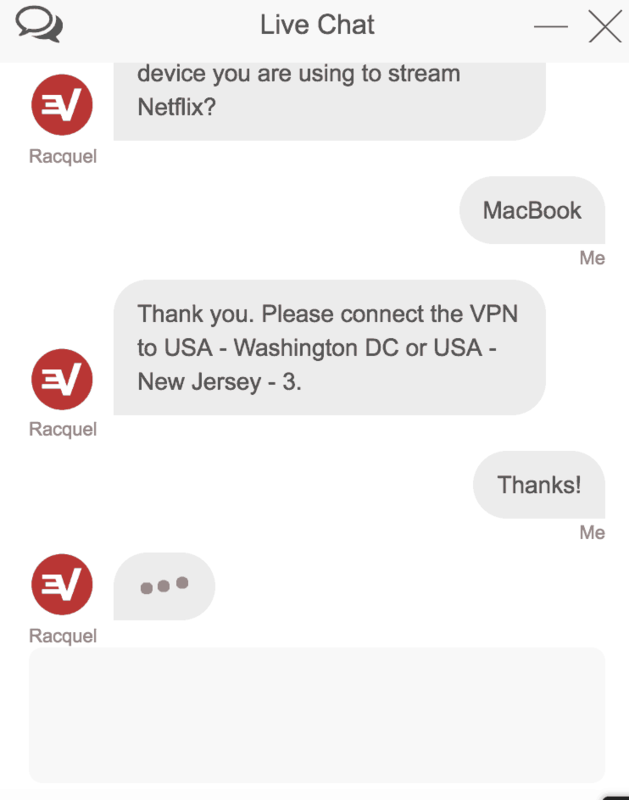 However, if you’re into more tailored replies, ExpressVPN is probably better. Both of the questions were asked when we’re logged into their admin dashboard. We didn’t test their sales support. Overall, you shouldn’t be worried about their customer support – both were much better than the average we’ve seen in our VPN reviews. These are the so-called “basics” that every VPN app should have. However, there are a couple of “add-ons” that one has and the other doesn’t. Double VPN Encryption – They are used to chain the connection through a couple of VPN servers, making it virtually impossible to track and identify the user (read more). As you can see, there’s not much difference in terms of what they offer. Either way, you’ll get a lot of bang for a buck. Again, both of the VPN apps are very simple and easy to use. Basically, one click to connect and forget it. 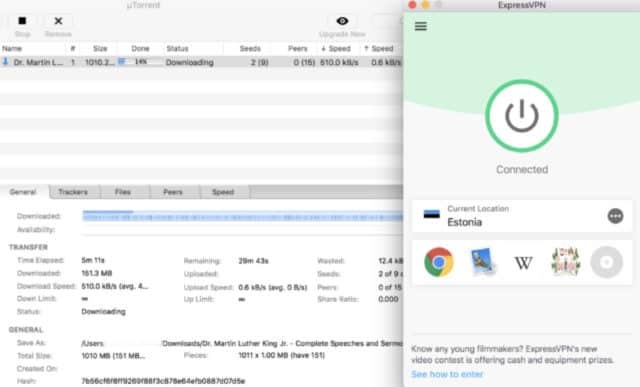 ExpressVPN is on the left and NordVPN is on the right side (both are Mac apps). Both apps are very minimalistic, with the ability to browse through different servers in different regions as well as tweak the settings, such as protocols, kill-switch (on/off), DNS settings and so on. As we couldn’t compare the usability much – very similar apps, we decided to test which one connects faster to the smart location (closest and fastest server to you). Not a big difference, but NordVPN was faster. First off, ExpressVPN and NordVPN both respect your privacy at the highest level. In fact, they both are very secretive and not transparent at all about their parent company or who they belong to. After some digging, it’s fair to say that NordVPN belongs to Tefincom S.A which is a Panama company. ExpressVPN claims to be Express VPN International Ltd which is a company based in the British Virgin Islands. However, there’ve been rumours on Reddit that most of the NordVPN staff works in Lithuania and ExpressVPN staff is based in Hong Kong. While they store some data about you, it still remains fully private since they don’t log your activity which means they cannot connect any of your browsing to your account. That’s solely for keeping their VPN services high quality and smoothly process your payments. Despite both of them being “no logs” VPNs, they don’t allow any unlawful, illicit, criminal or fraudulent activities. Regarding their VPN jurisdictions, NordVPN seems to have chosen a better location – Panama, which does not require any data storage. 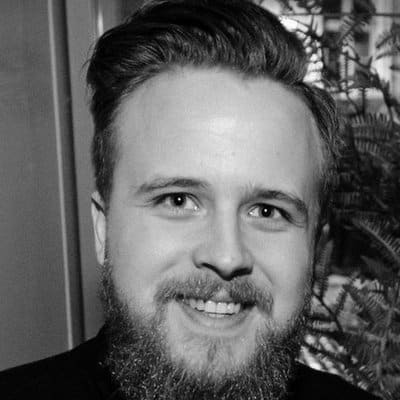 While ExpressVPN being officially based in the British Virgin Islands, it too doesn’t have a mandatory data retention law. However, BVI has strong ties to the UK which is known for strict regulatory. VPN companies based in the UK may be subject to the same data retention laws applicable to internet service providers. The UK has also reportedly blocked some VPNs. Many poor quality VPNs, especially free ones, are known to leak your IP (see our 2018 leak test). However, that’s not the case with NordVPN or ExpressVPN. According to our test, none of them leaked any of your IP’s or DNS. In addition to that, they both have built-in killswitch which disconnects you automatically to avoid any leaks. Furthermore, there are Google Chrome extensions that are generally know to leak your IP. 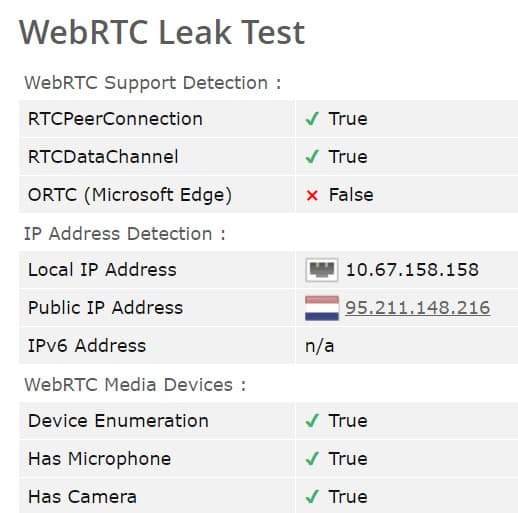 For example, a test we did in 2018 indicated that more than 10 VPNs (such as Hoxx VPN, Hola, DotVPN and Betternet) leaked your data through WebRTC. For a 20 minute game, the average ping was 31.8ms. The jitter was only 1.2ms, which means that the highest ping we had was 33ms throughout the game. Packet loss basically means that 0.2% of the frames weren’t delivered, but that’s virtually nothing. You will not notice it. 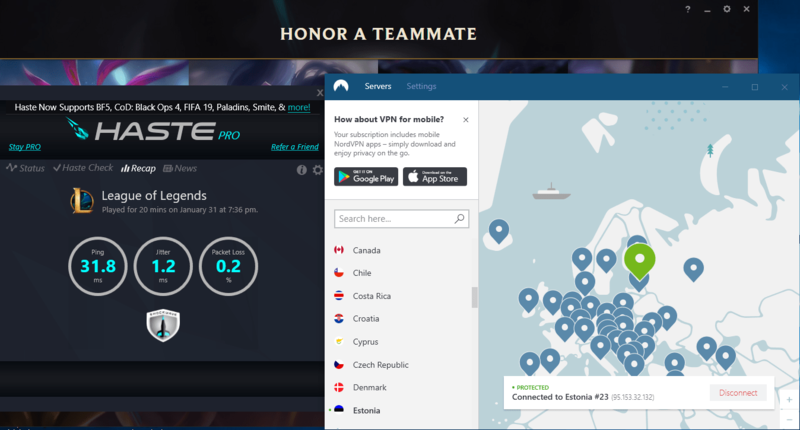 We used the “smart location” for the test, which you should always use, if you’re not trying to play in another region of the world, which you could do with a VPN, but your ping will definitely be higher than this. ExpressVPN averaged a ping of 41ms, they had a jitter of 2.0ms and a packet loss of only 0.6%. We are based in Estonia and their smart location was further from us compared to Nord, which had an Estonian server as the smart location. We tested both with the smart locations and both did really well, alas NordVPN was slightly better, probably mainly because of the smart server location, but nonetheless, they won the test. Both have extremely good usability and their apps look sleek, so whichever you decide for your gaming needs, they will deliver. NordVPN came up on top through our tests, but we don’t consider ExpressVPN a loser in any way. In a nutshell, ExpressVPN is faster and works more better unblocking geo-blocked content such as Netflix and the Great China Firewall. 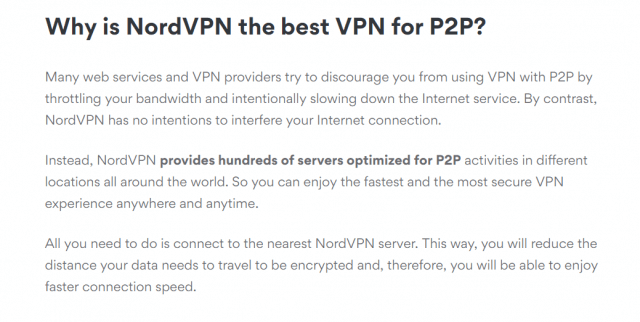 Nord on the other hand is a VPN service that does what it needs and does it at a much cheaper price range. In the end of the day, both have their plusses and both have their minuses. We hope that we made the choice for you easier with our tests of both services. 5. Which one has better customer support? Tie. 6. Which one has more features? Tie. 9. Which one is more secure? Tie.